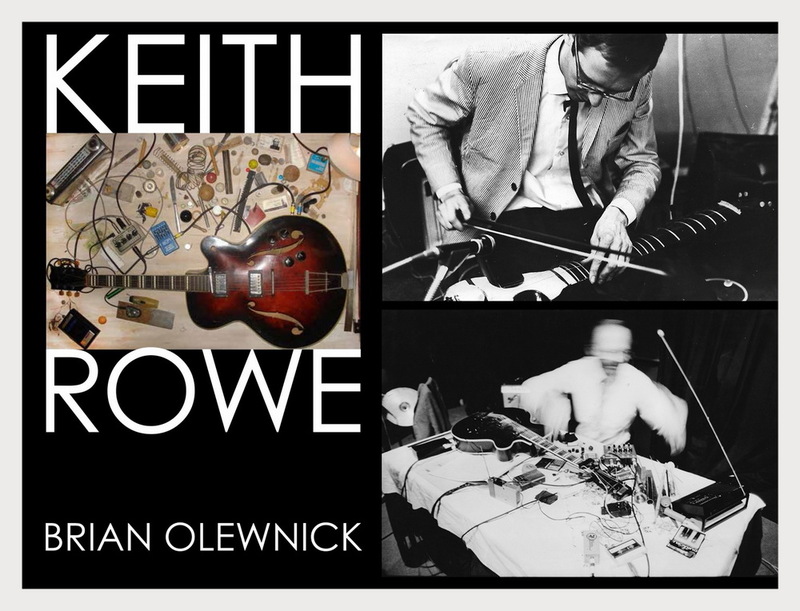 Un approfondito e appassionato studio sulla vita e le opere di Keith Rowe condotto per oltre dodici anni dallo scrittore e artista visivo Brian Olewnick diventa un corposo volume per la newyorkese powerHouse Books: Keith Rowe: The Room Extended. In London, in the fall of 1965, a group of four musicians dissatisfied with the constrictions they had encountered in the British jazz scene, came together with a highly thought-out agenda to revolutionize the way music was created, rejecting rules firmly in place then (and still today) among even the most forward-looking of musicians: no repertoire, no solos, no regular rhythms, no melodies, no fear of silence, 100% improvised. 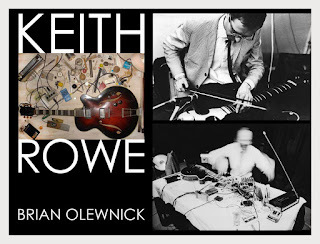 Keith Rowe was one of the founding members. They called themselves AMM and soon added the composer Cornelius Cardew, an associate of John Cage and Karlheinz Stockhausen, who was seeking to escape what he thought were equivalent strictures in the avant-garde classical world. As a quintet, AMM created music unlike anything else being done at the time and, being immersed in the London scene of the mid-60s in which musical boundaries were amorphous, found themselves on the one hand sharing bills with nascent bands like Pink Floyd, The Who and Cream while on the other working with and alongside Yoko Ono and Christian Wolff. Rowe, a guitarist trained as a painter, adapted to his guitar the lessons he’d learned in the visual arts, placing it flat on a table or the ground as Jackson Pollock had done with his canvases, using it as a sound source to be approached with all manner of implements, opening up a vast new territory of exploration, one which would be enormously influential in rock, contemporary classical, and the field of free improvisation.